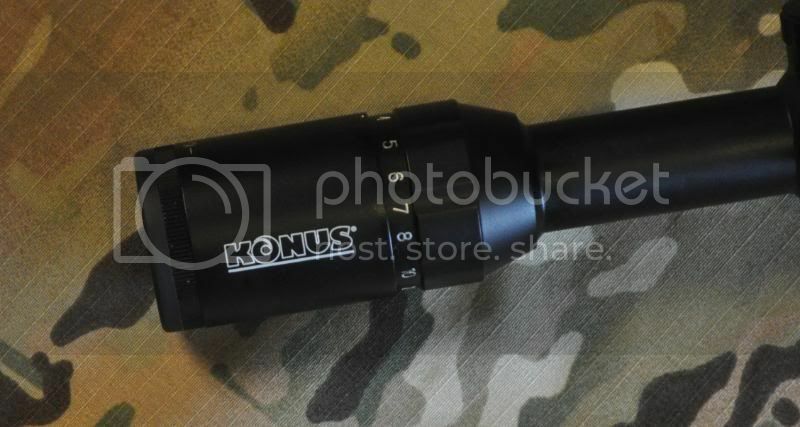 This is a new scope from Konus the Konuspro 550. it is 4 to 16 power with a 50mm AO. 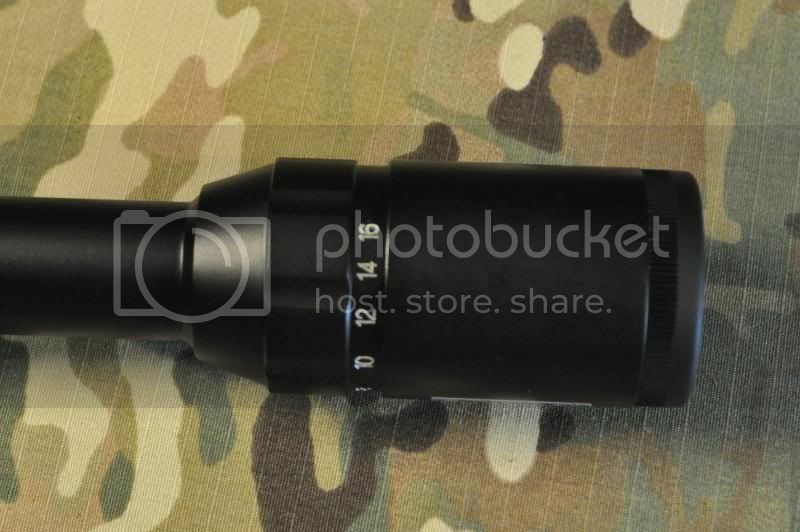 It has a engraved ballistc reticle and one piece tube. 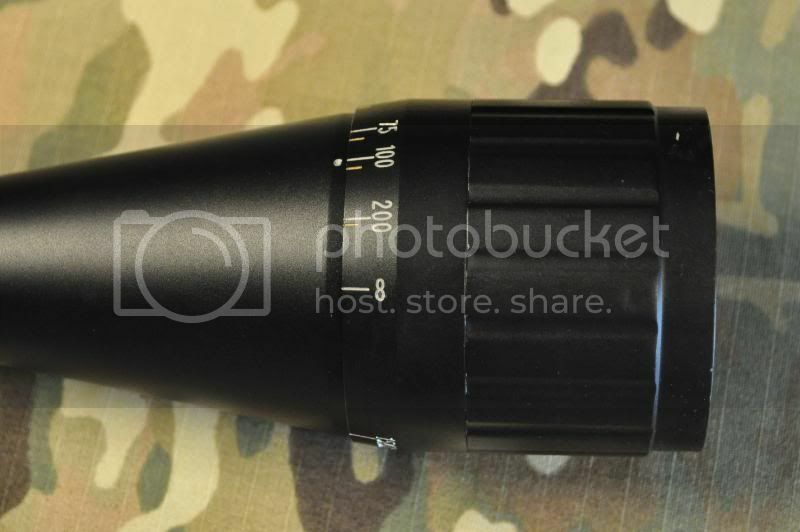 The objective is adjustable and the optics are multicoated. it is waterproof fogproof and nitrogen filled. I will have to get a little time behind this optic to give a full review. 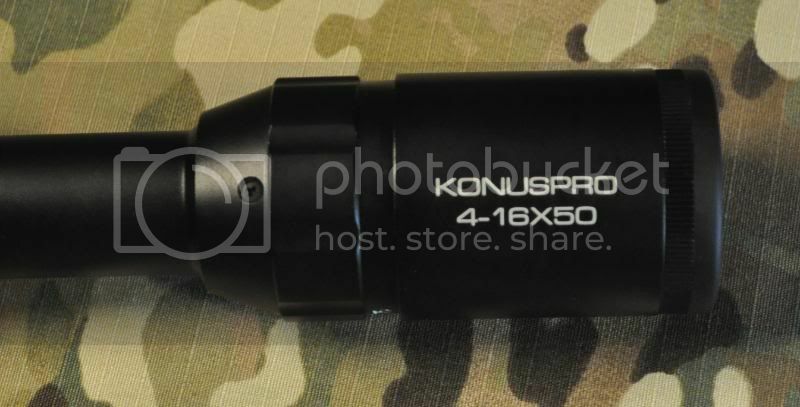 It is a very affordable optic I will say and has some great features.